Compact housing maximum performance and flexibility as well as the opportunity to run the device in 2GHz or 5GHz band are only few features of the P-Ex WLAN. A wide range of configuration options allow to use the device as Access Point, Router or Bridge. Running the device in controller based mode enables the use in big or hard to reach wireless installations. Together with the computing power the implemented security features are state of the art and allow a up-to-date data encryption. The 1900-Sa Wi-Fi Access Point is designed to be operated within a safe area. The Ex i antenna interface can facilitate an antenna being placed in Zone 1 or 2. The 1901-Z1 Wi-Fi Access Point is designed to be operated within a hazardous area. Inexpensive way to extend your WiFi network into a hazardous area. The new iWAP107 brings the advantages of MIMO technology to hazardous process areas. This allows the latest MIMO Access Points from market leaders such as Cisco and Aruba to be cost-effectively deployed; significantly improving Wi-Fi performance and reliability. The iWAP107 also comes with the revolutionary iSOLATE500 RF galvanic isolators, which makes all the antenna points intrinsically safe. This enables high performance, low-cost standard antennas to be used which greatly improves coverage per unit. This feature allows conventional wiring of RF connections and dramatically reduces both install and maintenance times. Designed for use in ATEX and IECEx Zone 1 hazardous areas, the iWAP107 is the perfect system to allow data to be unlocked from process areas such as oil rigs and heavy petrochemical sites. 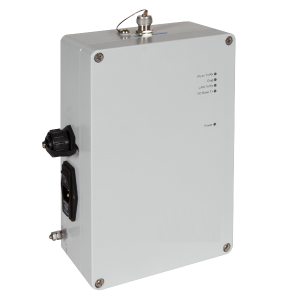 The iWAP200 Zone 2 Access Point Enclosure is designed to deploy wireless networks in hazardous areas. The concept allows installation of equipment from leading WLAN vendors such as Cisco, Meru, Motorola and Firetide. Each type of Access Point or RF transmitting device is rigorously checked and tested by Extronics and our Notified Body to ensure conformity to the ATEX standards and approvals. 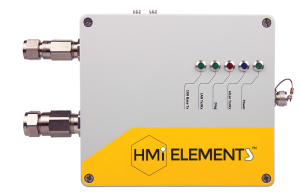 This means that we can provide an OEM a solution to enable your WLAN network devices to be installed in hazardous areas. The iWAP 200 is designed for use with one to four standard antennas or iANT200 series of intrinsically safe antennas for optimum coverage on Chemical Plants, Oil Refineries or Oil & Gas Platforms. Optional features include surge arrestors for lightening suppression in outdoor installations and either single and multimode fibre inputs for the Ethernet, enclosure heating or cooling for low/high temperatures and anti-condensation plus the option of plug and socket cable entry instead of cable glands. 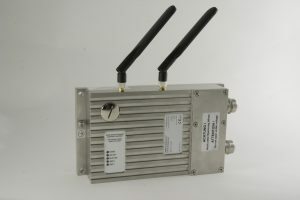 The iWAP202 Zone 2 Access Point Enclosure is designed to deploy wireless networks in hazardous areas. The concept allows installation of equipment from leading WLAN vendors such as Cisco, Meru, Motorola and Firetide. Each type of Access Point or RF transmitting device is rigorously checked and tested by Extronics and our Notified Body to ensure conformity to the ATEX standards and approvals. This means that Extronics can provide an OEM a solution to enable your WLAN network devices to be installed in hazardous areas. The iWAP202 is designed for use with one to six simple apparatus antennas or iANT2xx antennas for optimum coverage on Chemical Plants, Oil Refineries or Oil & Gas Platforms. Optional features include surge arrestors for lightening suppression in outdoor installations and either single and multimode fibre inputs for the Ethernet, enclosure heating or cooling for low/high temperatures and anti-condensation plus the option of plug and socket cable entry instead of cable glands.